The Heated Back and Seat Massager helps soothe away aches and pains by delivering massage to the upper back, lower back, hips and thighs. The massager is operated by a hand held remote controller. There are 5 massage motors situated around the seat cover each offering 4 levels of intensity and 5 massage modes (pulse,tapping,rolling, auto and kneading). There is an integrated strapping system that easily attaches to most chiars. 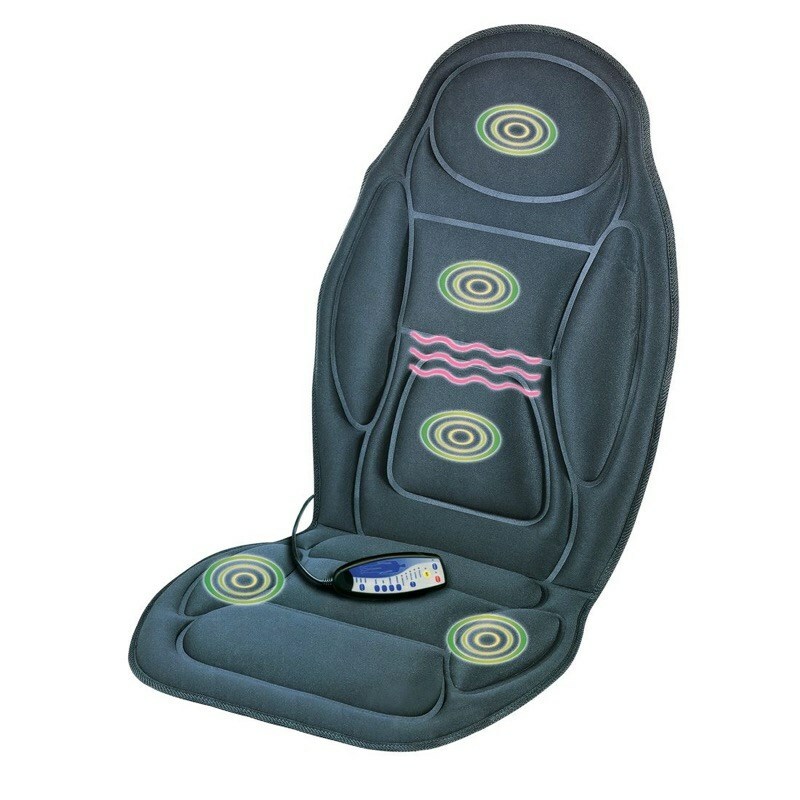 The Heated Back & Seat Massager is perfect for use at home, in the office or car. There is also a timer function available offering 15, 30 and 60 minute massage sessions. It is mains operated and there is 12v car adaptor included.